Kintaro is a legendary hero from a Japanese folklore, a boy with superhuman strength. Kintaro is still very popular in Japan and is depicted in storybooks, manga, anime and action figures. 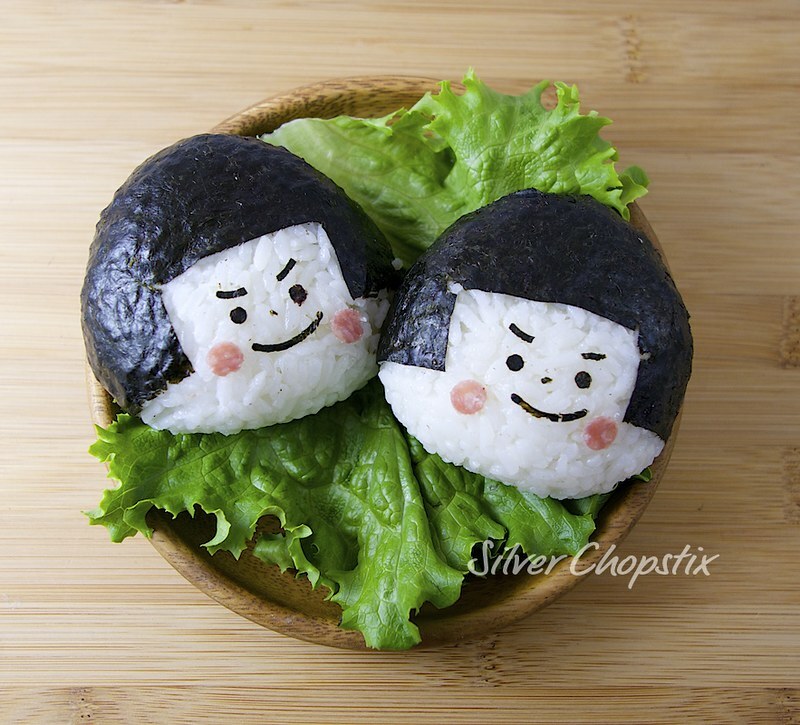 To make this onigiri, shape your steamed rice into a tri-oval shape by using a plastic wrap. The edges should be more rounded rather than pointy. 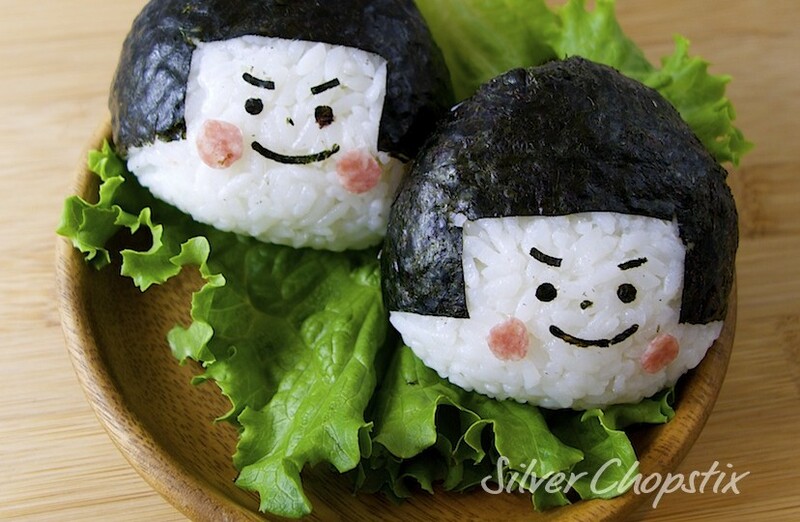 Cut your nori in the shape of the hairstyle you want your onigiri to have. What I did was cut a sheet of nori in half. I then made a semi circle using half of the nori and a small rectangular cut at the bottom which will serve as a frame for the face. 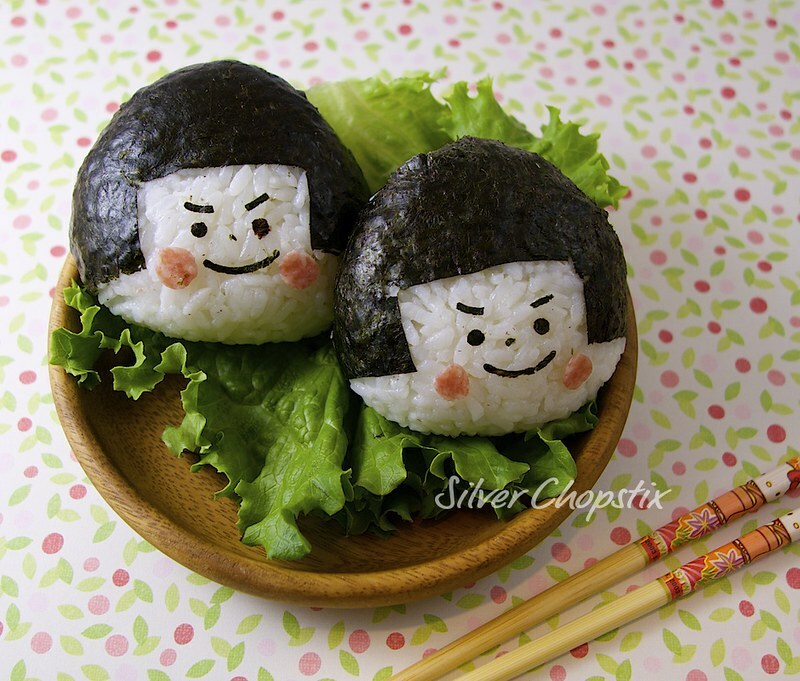 Wrap the nori on the upper part of your rice ball and smoothen edges. Use your nori punch to cut out your eyes, brows, nose and mouth. I also used salami to make the cheek tints. 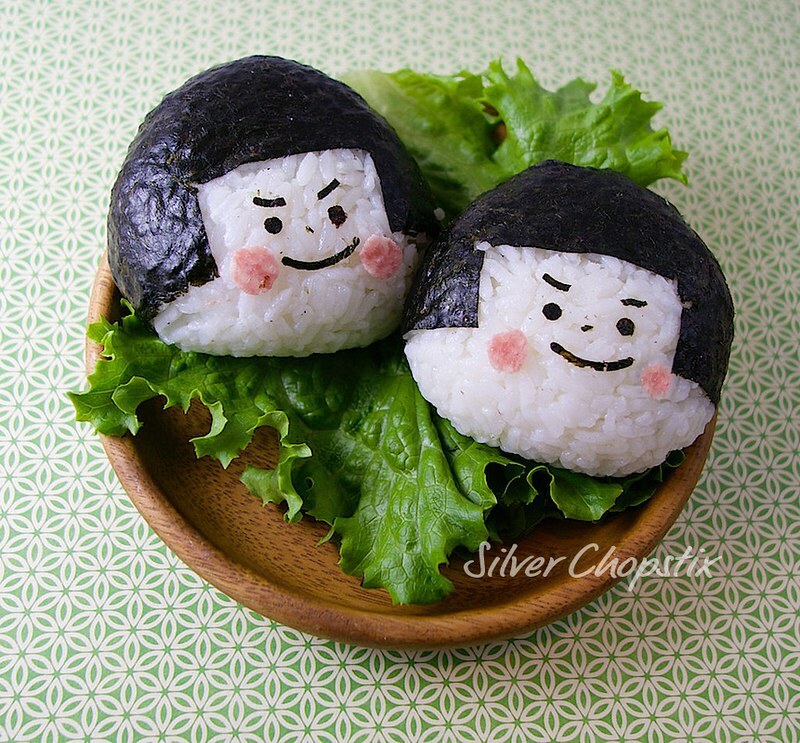 Here is my Kintaro Onigiri !